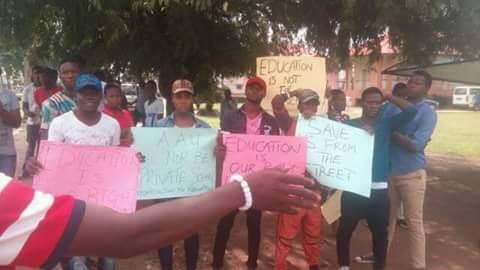 Students of Ambrose Alli University Ekpoma, Registered their discomfort in the 400% hike in school fees by taking their protest to the oba palace in a bid to get the attention of the state government. ITV Benin were on ground to cover the protest. The Police were however commended for their presence as they guarded the students all the way to NJC.